The blog kicked up some controversy. Accusations about the then-Pomona city manager led the city attorney to try to shut down the blog by sending a cease-and-desist letter. FCB was popular, claiming in April 2008 to have received 10,000 comments — with one of mine the 10,000th. But the return quickly fizzled. By mid-2009, FCB promised to resume daily posting in mid-August, which never happened. A moment of silence, please, as the towel flutters to the ground. 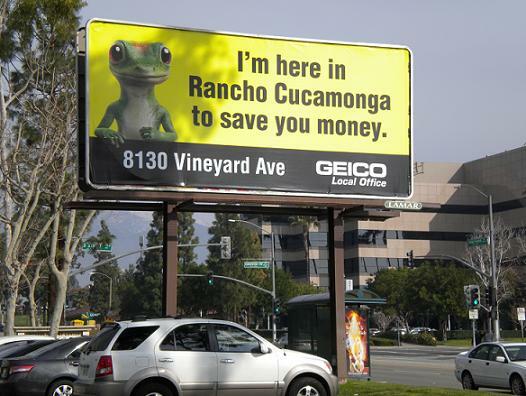 Geico doesn’t seem to know it, but these “I’m here in Rancho Cucamonga” billboards are both placed miles from Rancho Cucamonga in Ontario. 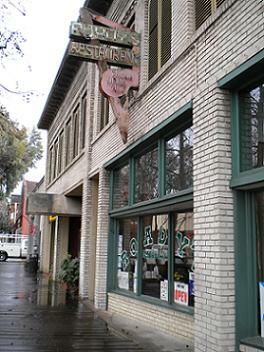 The one at left is on Mountain Avenue between I and J streets (note the Mountain Avenue Car Wash sign), the one below on Vineyard Avenue at D Street. Thanks to reader Amado Cervantes for the tip. 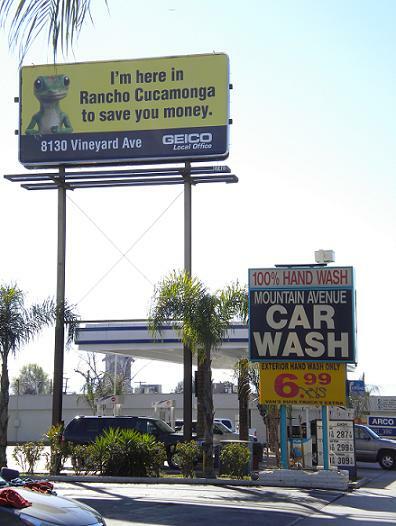 Would you buy auto insurance from a company with such a poor sense of direction? Here’s an interesting piece from the NHRA about the history of a La Verne restaurant institution near the site of the Winternationals. 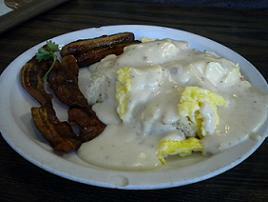 Did you know El Merendero used to be a burger stand known as Elly’s? I didn’t. Thanks to reader JMac for the link. “As far as tunnels under Pomona goes, there were real tunnels, but they were the storm drains, and we used to break into them in Ganesha Park and travel miles around the town underground. My pal Phillip O’Brien was always talking me into going down there with him. 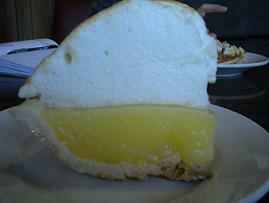 I heard he died in a hang-glider accident somewhere around San Dimas Canyon years ago. I remember his parents were fanatical Catholics. They said a rosary together as a family every night. If you spent the night at his house you had to do it with them. “Those storm drains were a forbidden place, and we stopped going once we saw the movie ‘Them’ about the giant bees that built nests in the Los Angeles storm drains. Your turn, readers: What risky stunts did you pull as kids? Where did you go that you knew you shouldn’t? Walking on Spring Street in downtown L.A. a while back, I noticed the mural on the exterior of City Hall East, the secondary City Hall building on the east side of Spring. Wondering if the mural might be by longtime Claremont and Pomona artist Millard Sheets, and in no hurry, I stepped closer. Indeed it is. 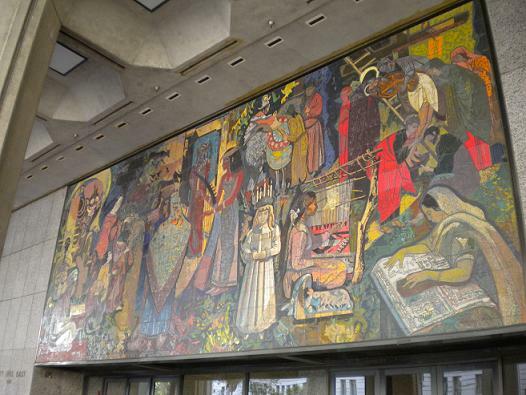 The 28-by-60-foot mural, “The Family of Man,” was installed in 1972 and envisioned as a way to celebrate diversity. Click here to see more images of the mural and read a short explanation. I decided to take advantage of everyone watching the game to go to Ikea in West Covina. There was noticeably less traffic on the 10, but to my surprise, Ikea’s garage seemed as full as normal for a Sunday, and the store was thronged with shoppers. 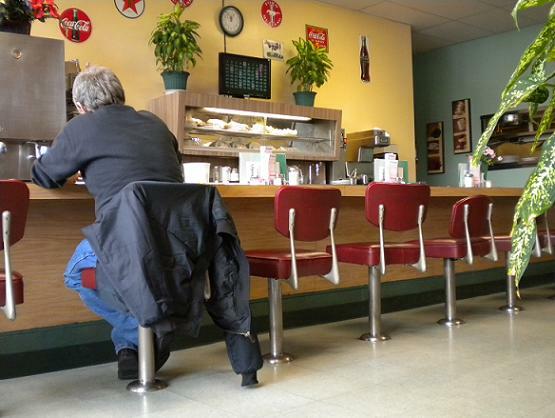 In the cafeteria, all the window seats were taken, the ones with the view of the 10 and the hills. After a tip from the hungry folks at the Ontario Police Department, whose headquarters is nearby, I stopped by Alina’s for lunch this week. It’s just above the 60 Freeway in a small building fronting an office park. The interior is a bit bare, pleasant but nothing fancy. You order at your table and pay at the register as you leave. 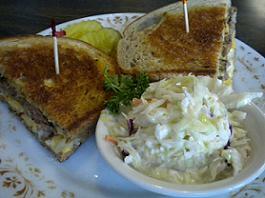 Alina’s has eight sandwiches, none more expensive than $5.69, and plate entrees from $7.99 to $13.99. It’s all Lebanese food, including a few items I’d never heard of: makanek? soujouk? 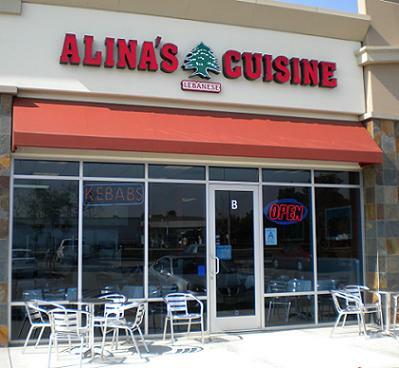 I had a kafta kebab ($8.99), which is made of ground beef; it came with rice pilaf, fattoush salad, hummus, garlic spread and pita bread. It was all very good, and filling. I also tried a jallab ($2.49) drink, which was a taste I may not acquire, but drinkable. All the food here is made fresh to order, down to chopping the lettuce and tomatoes. Don’t expect your meal in five minutes, but expect it to be good. The dining room was almost full at 12:15 p.m., a healthy sign that Alina’s, in business for a year, may be with us for a while.